Enter your email address below to receive a notification when Smockbox, little style sent! starts accepting new sign-ups! 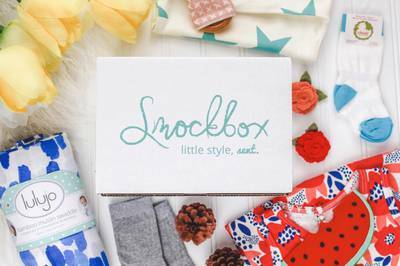 Enter your email address below to receive a notification when Smockbox, little style sent! is accepting new sign-ups again. 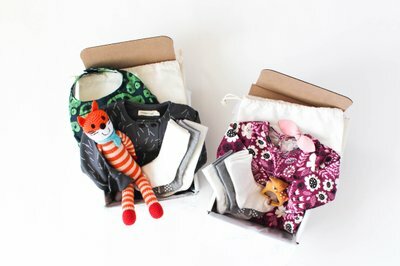 Home > Family & Kids > Baby & Toddler > Smockbox, little style sent! We ship the 4th of every month. Boxes ship priority mail so you should expect your box in 2-3 business days. Renewal date for monthly subscriptions is the 11th of the month. 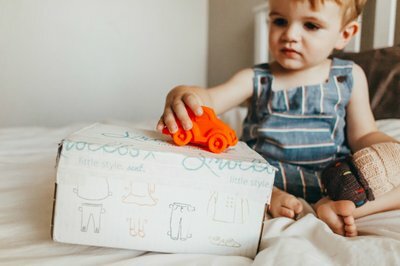 A curated box of ethical brand clothing, accessories and toys for kids. 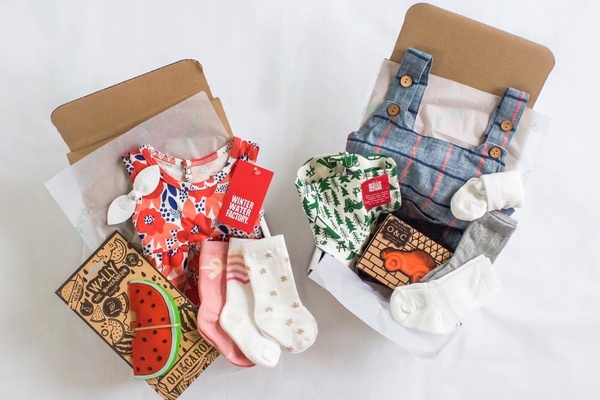 Each box includes a surprise selection of 4-8 items all from indie designer clothing, toy and accessory brands. 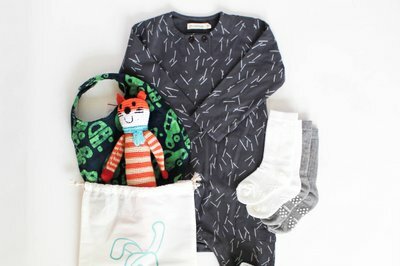 Comfy stylish clothing, natural and age appropriate toys you can feel good about giving! 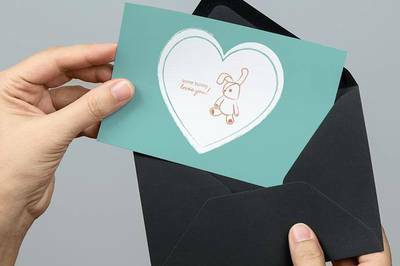 Ship a one time gift or monthly recurring, pause or cancel at anytime. 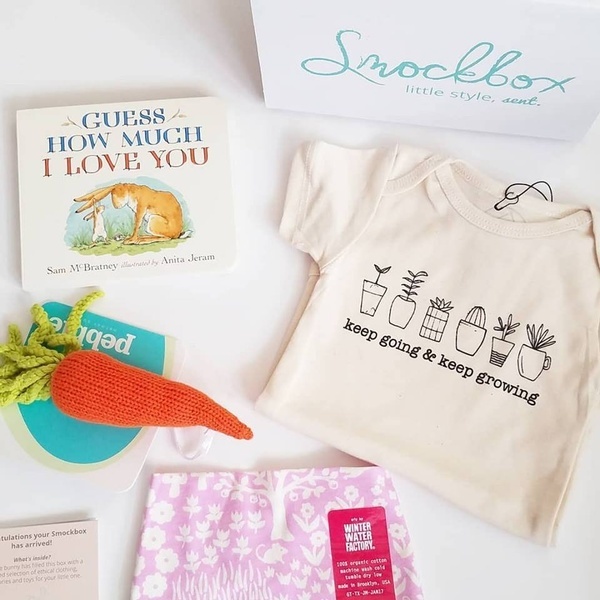 Give the gift of a Welcome Baby Box by Smockbox! 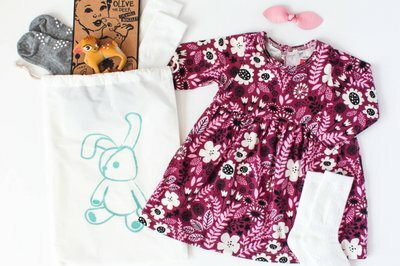 Discover the best in indie and small shop kids fashion! Age appropriate natural toys - wooden toys, rattles, teethers, puzzles and more! 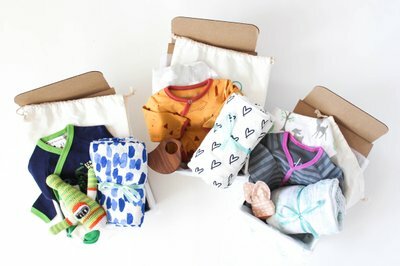 One of Buzzfeeds top 20 Boxes for Babies! Great box for my little girl! My little girl looks fashionable with all the cool items that are included in this box. I love how I can dress up my baby every month with new outfits and accessories. 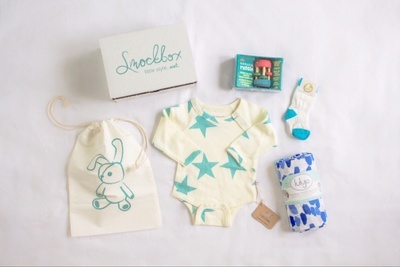 Smockbox has impressed me with this month’s box, all the items here are definitely usable for my little girl. As for the clothes and accessories, I love every piece. They fit my baby easily and comfortably. I also appreciate the inclusion of the canvas bag which makes storing my baby’s things easier. The box came with a super cute little outfit, two accessories and a toy. My box had an adorable little sundress in it. The dress is a brand I recognized. It's super soft and really high quality. I definitely love the outfit and I can easily see it fitting a lot of different mama's styles! I really appreciate that the toy/teether is simple and functional, nothing that needs batteries or speaks on it's own haha. My little one was also a fan! I really love that every box is individually selected so seeing someone else's box doesn't ruin the surprise! This is definitely a children's boutique quality box. I would totally recommend as a gift too! It was a gift, and the recipient seemed to love it. She sent me a picture and it was gorgeous products. The box had an outfit, a toy, and socks. Not quite as much as I was expecting based on the pictures. 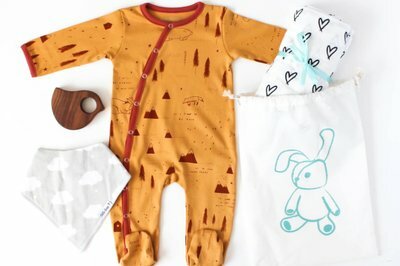 Guess How Much I Love You Book, organic cotton onesie, made in USA organic kerchief bib and a fair trade carrot rattle, bunny storage bag. 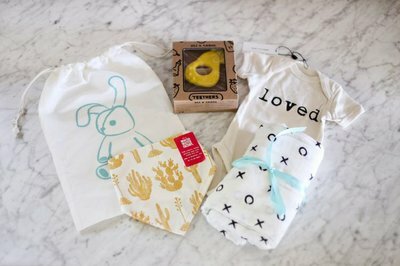 Gender neutral surprise box: Organic Onesie, Hugs & Kisses Swaddle, apple rattle, newborn knee socks & bunny storage bag. 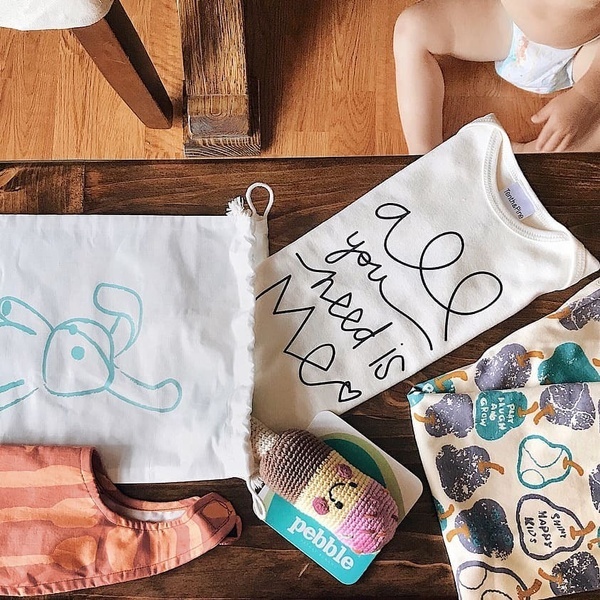 All You Need is Me organic onesie, Pear print romper, fair trade bib, fair trade ice cream rattle, bunny storage bag. More Smockbox, little style sent!